Searching for a knowledgeable and patient LGV instructor? At Wayside Transport we offer comprehensive training to help you gain the qualifications required to drive a Large or Heavy Goods Vehicle. Our first-time pass rate is 25% higher than the national average, so whether you are looking for a quality driving school for your employees or are pursuing a career on the road as an individual, we are the number one option. Call 01202 873 911 to book onto one of our courses. 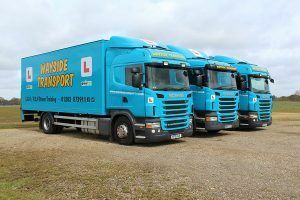 With years of experience as a leading team of LGV instructors, you can count on us to help you pass your test with flying colours. At Wayside Transport, we are extremely proud of our success rate, and endeavour to maintain our fantastic results by providing extensive guidance to each of our students. If you took your car driving test after the 1st of January 1997 and now intend to operate a Large or Heavy Goods Vehicle which weighs more than 3,500kg, then we can provide outstanding training to help you achieve your licence. Please note that there are many terms given to the licence such as Rigid, Class 2 or LGV and that ‘LGV’ is the recognised name for both LGVs and HGVs. You will be trained by an expert LGV instructor with a friendly manner. 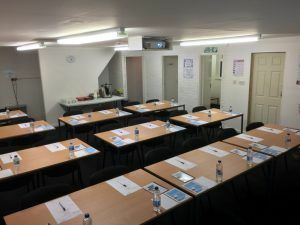 For those of you who passed your motorist test after the cut off in 1997, you will need to adhere to a number of requirements before you undertake a course with one of our LGV instructors. For example, you must be qualified to tow a trailer with a gross weight which exceeds 750kg, this figure will encompass most double horse trailers and caravans. What’s more, most LGV accidents occur during shunting at low speed on business premises, so we provide high-quality shunting training to ensure that you are confident in every aspect of driving a large or heavy goods vehicle. Both of these courses can be completed with an LGV instructor within just a few days depending on your current ability. To find out more about the essential requirements, give us a call on 01202 873 911 and we will provide you with unbiased advice so that you can make the right decisions about your LGV options. If you are part of an organisation which utilises LGVs, it is fundamental that you are overseen by an LGV Assessor. This nominated person will work alongside management to review and update the rest of the team on safe driving procedures. Our LGV instructors run cost-effective assessor training which will eliminate the need for an external training provider in the future. Ahead of the course, your driving ability will be assessed by our team before we offer you a bespoke training package. In this instance, there is no pass or fail and we will work with you to ensure that you are fully confident in this important role. The course takes place across five days and can be completed at either Wayside Transport, or at your business premises. You will take your pre-arranged driving test which you will need to pass before taking the ability test. While the course is carried out at our premises in Ferndown, Dorset, you will take the test at the Poole or Southampton LGV/PCV test centres, or at a location local to you. Wayside Transport is based in Dorset, with easy access from Hampshire, Wiltshire and the surrounding areas. For years we have been delivering high-quality training courses to students across the country, and we are extremely proud of our first-time pass rate which exceeds the national average by 25%. What’s more, we have partnered with the Driver and Vehicle Standards Agency and local emergency services, so you can rest assured that our LGV instructors offer training to companies and individuals which is of the highest of standards. We understand that holding certain driving licences can open numerous windows of career opportunities which is why we offer a professional and comprehensive service to help you pass your tests as quickly and as accurately as possible. Moreover, in addition to training for LGV licences, we also offer highly-rated PCV and CPC training, so that you can expand your career potential. Finally, for an insight into the excellent service provided by our LGV instructors, check out our glowing testimonials. If you are looking for a friendly and knowledgable LGV instructor to help you obtain your licence, give one of our team members a call today on 01202 873 911 or fill out this contact form.